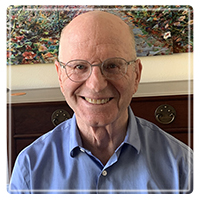 Rancho Mirage Therapist: Larry Goodman - Therapist 92270. I provide counseling for women, men, teens, children, families and couples. I specialize in working with women who struggle to be heard and feel equal in their relationships, men who struggle with anger and depression, and I help my clients improve their relationships and parenting skills. In life, relationships can either be frustrating and diminishing or rewarding and uplifting. All relationships require work to maintain, as does anything worthwhile in life. Working on yourself is often an important first step to improving relationships and can be one of the most positive things an individual can do. For the last twenty-two years, I have worked with children and teens and their parents. I help children and teens who are defiant and disrespectful or who struggle in school or at home and who may have ADHD. I use Sand Tray as a technique for children to work out their emotional issues. Please see my website .child-teen-counseling.com. I work with men, women and couples on a deeper level to improve their relationships. This work uses depth psychotherapy and is deeper and more insightful and can strengthen personal growth and self-understanding. I provide communication tools to strengthen boundaries and improve relationships. See my website, larrygoodmanmft.info. I offer compassion, insight and experience to help my clients achieve the goals they set for themselves when they come into treatment. Call me to discuss your problem. * I work with individuals who struggle with anxiety and panic attacks and who, while successful in their professional lives, are unhappy and frustrated in their relationships. They realize that their relationships have followed a negative pattern, and while very bright and capable, they are at a loss as to how to correct this important aspect of their lives. This is where counseling and psychotherapy can be life-changing. With an improved understanding as to why we have chosen partners in the past, we can take action to make better choices and begin to create healthier relationships. * I have worked with thousands of children, ages 4-16, dealing with ADHD, PTSD, anger and defiance, depression, anxiety, Bi-Polar, abuse, and other issues. I create a comfortable and safe environment for children to talk about their problems using play therapy, sand tray or just conversation. When a child feels that someone is really listening to them, they begin to relax and open up. Working along with parents, most problems can be quickly resolved. In my experience, children are resilient and very smart and do not miss what is happening around them even if, as adults, we want to believe they are unaware of problems in the family. Including the child in the solution, when appropriate, also teaches them that they can solve problems, an important life-skill they will use throughout their lives. * I consult with parents to help them navigate through the 'terrible' twos, threes, fours, fives and even into the teenage years and beyond when young adults are living at home. When communication and patience break down, anger and frustration replace the loving and understanding relationships we all want to have with our children. Parental and family counseling provides the tools and creative solutions that can bring back the fun in families and prepare our children for adulthood. * I specialize in divorce counseling for men and women and particularly for children and teens. I believe that advising my clients to take the 'high road' leads to better results, particularly if children are involved, in both the short run and over time. While this is, admittedly, a difficult time, professional counseling can make it easier and provide a better experience for all involved. * I provide school consulting to parents who do not know how to work with the school system when their child struggles in school. Many parents are unaware of their rights as parents or of the services that are available to their children in the schools. I have spent over 17 years working as a school counselor helping children, parents and school staff solve students' issues that have prevented a child from succeeding in school. Whether because of learning disabilities, ADHD, emotional or physical abuse, divorce, domestic violence, or other issues children struggle with, I can help you and your child have a better school experience. With couples, I provide couples counseling to deal with anger, frustration, a lack of intimacy, communication and divorce issues. My office is in Rancho Mirage. I see patients from all over the Coachella Valley and from Murietta and Banning. I offer a unique approach to couples counseling in which I see both parties weekly in a joint session and, then, individually, in their own session to reinforce growth. I discard blame, guilt and fault which get in the way of positive change. My focus is on the present, not the past or the future. This helps the individuals and the couple deal with the issues that are troubling them. In the couple session, we do individual psychotherapy with the other as a witness so that they understand what is happening with their partner. This deeper work uncovers the long-held beliefs about gender that we learned in our childhood, that trap us in the past and that we replay in our relationships. With understanding comes the awareness that we can choose different beliefs and options as an adult and achieve the benefits and rewards of a healthy relationship. I focus on the process instead of the content. This work is difficult and rewarding as couples change their experience of each other and the underlying love and caring emerges. One of my interests is early intervention in schools. I have worked in K-6 school programs in Northern and Southern California helping children, their families. My focus has been on identifying and working with children who struggle in school due to behavioral, emotional or difficult family situations (e.g., domestic violence, addictions, abuse, divorce). I recently created an easy-to-use intervention for teasing in the schools that is effective for Kindergartners through 12th grade. Prior to becoming a licensed clinical Marriage Family Therapist, I enjoyed a career in high-tech companies, banks and financial services. I retired early and earned a Masters in Counseling Psychology to help people live better and more satisfying lives. I was licensed in 2001 in California, MFT #38345. As a psychotherapist, I have many years of experience working with children, couples and adults in individual psychotherapy and family therapy. I served as an Executive Director for a community counseling center employing twelve PhDs, MFTs and LCSWs along with interns and trainees. I supervised Marriage and Family Therapist interns and trainees in educational and non-profit settings and am a Certified CAMFT Supervisor. I have served on several boards offering financial and technological insight to the Silicon Valley CAMFT Board of Directors from 1997 to 2001 and the San Mateo Credit Union from 1992 to 2001 and to the Orange County and Desert CAMFT chapters. I have been a member of CAMFT since 1997. My educational background includes a Bachelors in Economics and an MBA from UCLA in addition to the Masters in Counseling Psychology from JFK University.